Nicky's published work and project work illustrates a wide range of concerns, and engagement with actors from other disciplines and fields such as economics, the health sciences, science communication, philosophy, bioethics and science and technology studies. What binds together her work is an enduring fascination around the relationship between knowledge and the development of social and public policy. Nicky's interests in law include the law of negligence and medical ethics and the law. 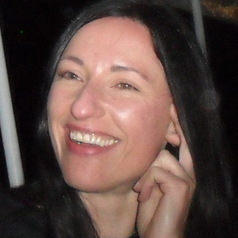 She is author of The Harm Paradox: Tort Law and the Unwanted Child in an Era of Choice (Routledge Publishing: 2007), and her second monograph entitled Beyond the Negligence Paradigm: Towards a Regulatory Ergonomic Approach to Error and Injury is due for publication in 2015 with Glasshouse Press. Nicky is also co-editor (with Anthony Wrigley, Keele University) of Ethics, Law & Society (Ashgate, 2012).